Nestled within the borders of Senegal, fringing the Atlantic Ocean, The Gambia has historical ties to Arab, French and British influences, evident in its history, architecture and cuisine. Populated by over 2 million people, the country is renowned for its diverse ecosystems, abundant wildlife and exotic beaches. Popular attractions include the Wassu Stone Circles and Bijilo Forest Park. Pack your bikini and binoculars because cheap flights to The Gambia are now available! The country’s hub airport is Banjul International Airport (BJL), a 50-minute drive from the city centre. The Gambian landscape is made up of preserved wetlands, palm groves and savannah plains – the perfect environment for bird-watching and getting up close to monkeys, civets, hyenas and many other fascinating creatures. Swing back in a hammock between the palm trees, as you gaze over the sparkling blue ocean. Enjoy the thrilling water sports, sunbathe till sunset and take long walks along the stretches of golden sand. Explore the country’s wild side with 4X4 trips and river cruises; while the colonial landmarks and museums in the towns provide a background into the former slave trade. Peruse the local markets for hand-made souvenirs to take home. The Gambia’s dry summer season falls between November and February – the optimal time to spot wildlife and different bird species. The capital city of Banjul plays host to a number of colourful festivals during January, with traditional music, art and dance filling the city streets with vibrant Gambian culture. The shoulder months of October and March-May offer great discounts on tours and accommodation, while days are still pleasantly warm with minimal rain. To avoid the crowds and maximise on dirt-cheap specials, the rainy season (between June and September) is the best time to go – just be aware that many places close during this time. The Gambia is an overlooked African holiday destination, but it has much to offer in the way of its palm-fringed beaches, nature reserves, bird watching, culture and history. 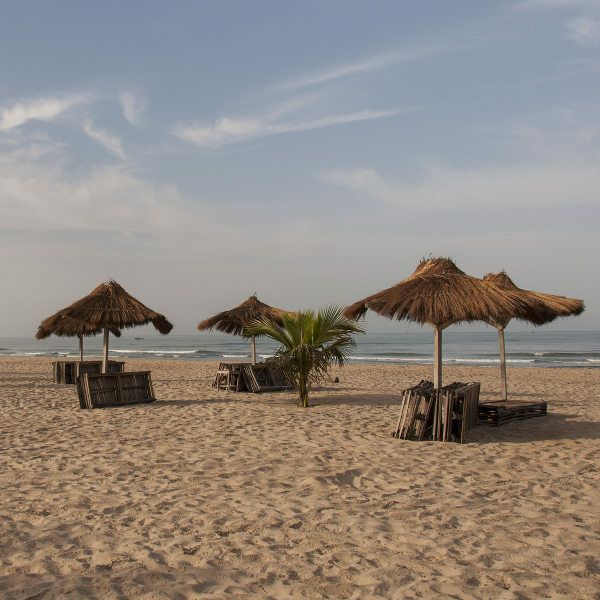 The intriguing capital city of Banjul has an alluring charm with its captivating history, golden beaches and aromatic markets. Situated on St. Mary’s Island, the city bristles with character as you wander between the faded colonial buildings in Old Town, see the traditional kirinting houses made of bamboo and bargain your way through the famous Albert Market. 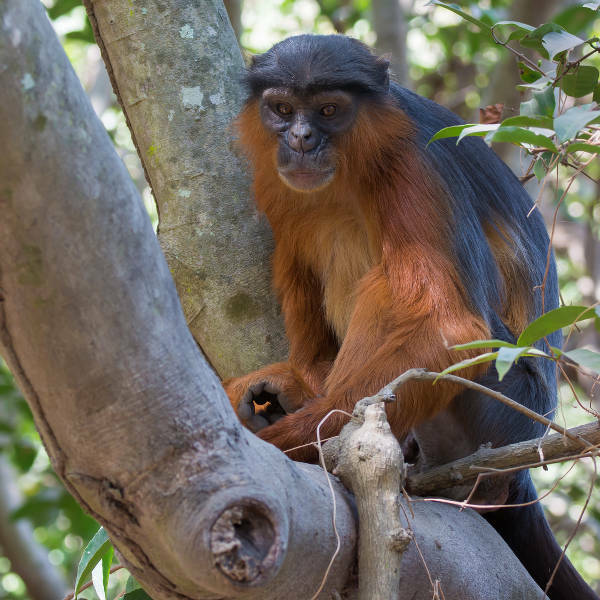 Just 11km south-west of Banjul you’ll find the Bijilo Forest Park, where monkeys and over 100 species of bird can be spotted as you hike along the forest trails to the sand dunes of Brufut Beach – a private haven where you can indulge in water sports or sunbathe along the golden shore. Another stunning stretch of coast is Sanyang Beach with its remote shoreline enveloped by mangrove lagoons. Further north you can watch the locals cast their fishing nets along the beaches of Tanji Fishing Village with colourful pirogues dancing along the sparkling ocean. The village museum offers a glimpse into Gambian lifestyle and traditions. Nature-lovers should visit Gambia’s oldest reserve, built in the 60s – Abuko Nature Reserve, which aims to conserve the national wildlife. The Kachikally Crocodile Pool in Bakau is home to 80 crocodiles, an ethnography museum and lovely nature trails. A day trip to Makasutu Culture Forest’s mangrove creeks, salt flats and savannahs is equally inspiring. 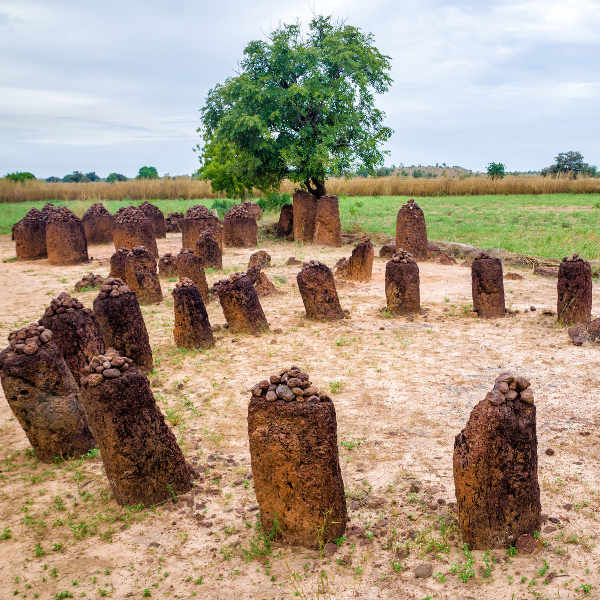 No trip to Gambia is complete without seeing the Wassu Stone Circles in the Central River Region. Believed to be the burial sites of ancient chiefs and kings, this UNESCO site dates back to 750 AD. Stay in one of the floating lodges along the Gambia River or luxury safari tents for a truly African experience! Partake in a cooking class and learn how to prepare a traditional West African dish. Compare several airlines, and book your cheap flights to The Gambia online at Travelstart! The Gambia is a spectacular holiday destination, but be vigilant of your surroundings and keep your wits about you to avoid petty theft and scams. Avoid engaging in small talk with locals that seem to be harassing you. There are a number of popular scams to be aware of, especially hardship stories of unemployment, as well as offering marijuana to tourists with police waiting in the wings for a hefty bribe. Respect the local customs and ask before taking a photo of someone you don’t know. Avoid discussing politics as critical opinions against the government are considered criminal. When swimming, beware of strong currents at the beach and heed the flag warnings. To get around, stick to green tourist cabs (more expensive, but safer); yellow ones are geared for the locals and can be hazardous. When crossing the Gambia River, make use of the Gambia Port Authority's Banjul-Barra or Yelitenda-Farafenni ferries, as they are a lot safer than privately-operated pirogues, which have been known to sink! Proof of yellow fever vaccination is required if travelling from an infected area. Malaria and water-borne diseases are rife throughout the year, especially between June and November, so take the necessary precautions and wear insect repellent at all times. You may want to consider being immunised against typhoid, hepatitis A and meningococcus. Avoid uncooked food and stick to bottled water.